A new member of the Cuddly Companion family is coming your way! Stay tuned to read about this adorable teddy, made with super bulky (weight 6) yarn. I used Lionbrand's Wool-Ease® Thick & Quick®, which has the feel, warmth and softness of wool with the easy care of acrylic. 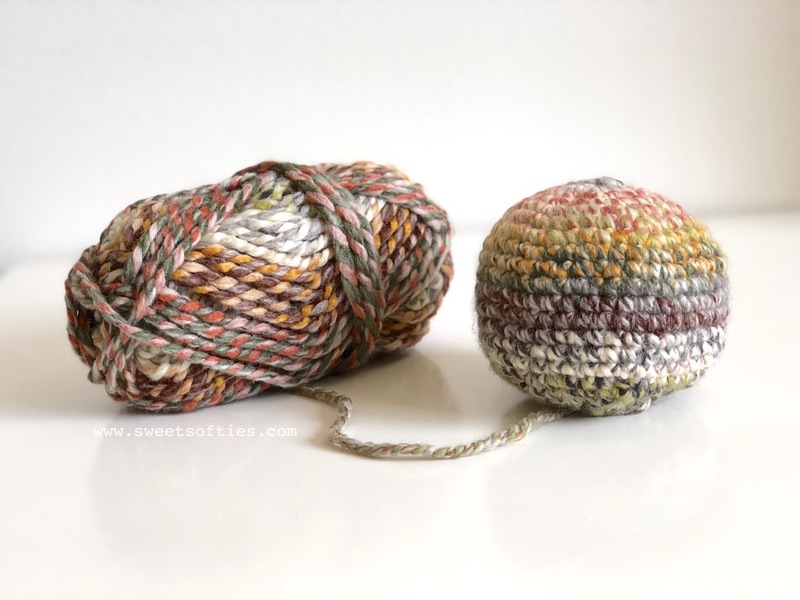 When I saw this special, colorful skein of Coney Island on the yarn rack, I just had to buy it! Here's this lovely skein! Click to check out the details! It really is a gorgeous, gorgeous combination of colors, and it was delightfully fun to crochet this teddy and seeing how the colors panned out. While I don't normally crochet my stuffed animals using thick yarn, I quite liked this experience as the bear was not only very quick to work up, but felt extra squishy and cuddly too! 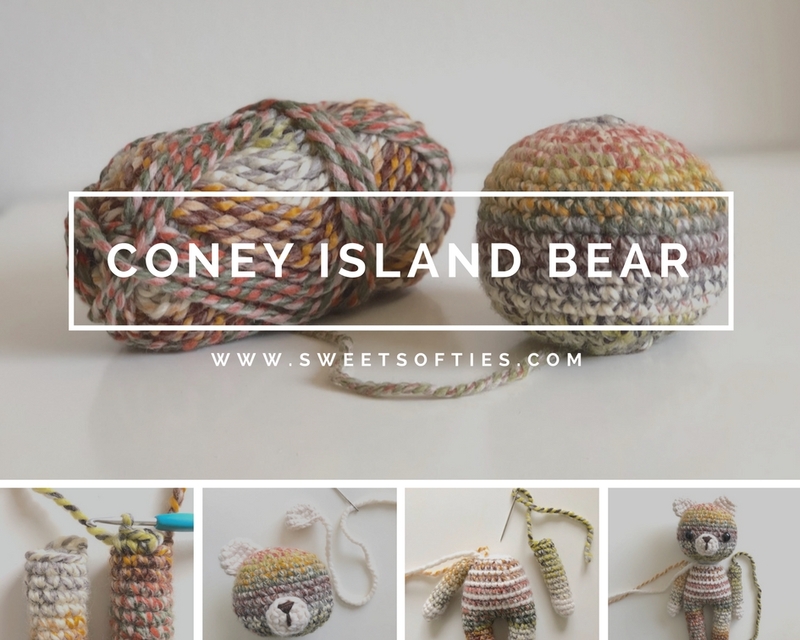 What's also a big plus is that I conveniently used up exactly one skein of the colorful, Coney Island yarn to make this bear! Has anyone else used super bulky yarn for amigurumi? I'd love to see your projects! I also can't wait to share with you details about this bear design after I finalize him!